Guest blogging is bar none of the most effective ways to build visibility for your brand. It’s a great way to establish yourself as a valuable resource while building backlinks and social media mentions to your site. Furthermore, guest blogging legitimizes your brand and allows you to reach an audience that you wouldn’t have access to otherwise. The challenge for many would-be guest posters is how to secure guest-posting opportunities in the first place. But too many posters end up making easily avoidable mistakes that could end up in their requests being rejected. In this article, we’re going to give you a few pointers on how to reach out to blog owners the right way. High traffic blogs may receive hundreds of guest post requests. This means your request has to stand out. At a minimum, address the blog owner by name and personalize the pitch. Mention previous articles they’ve written that you like before leading into why your content should be on their blog. Have a brief discussion about your ideas or suggested posts and include a brief background to your own writing. Note that grammatical errors or misspellings in the pitch will undermine you. Don’t be rude or pushy, since this will turn off the blogger. Be mindful of the reader’s time. When you’re pitching a guest post, the message needs to be long enough for the person to understand the request and why they should seriously consider it, but it shouldn’t be your life story. Nor should it be a long pitch for your product or service. Don’t assume you’ll get a ‘yes’ the first few times. 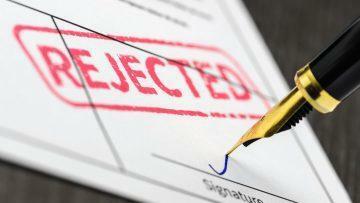 You’re going to be rejected by a percentage of those you contact. As you learn how to tailor your proposition and how your content is a fit with their objectives, the acceptance rate of your requests should go up. The chance they’ll say yes goes up if you’re introduced by someone they know. If you lack that personal connection, you have to create it. You can improve the odds of getting a ‘yes’ if you build up to the guest posting. Start with a short list of host blogs you’d like to post content. Reading the blog and understanding the creator and the audience is a start. Next comes engaging with the blog. Share informed comments on the blog. This shows that you’re genuinely interested and helpful. Do not make a pitch in the comments section. Follow them on social networks. This lets you see how they engage with their followers and promote products or posts. You’ll want to make certain that your guest post proposition follows their model. This improves your credibility, too, since their search about you will show that you’re a follower on social media. Take the time to learn what the blogger doesn’t like in sales pitches by reading about the bad pitches they choose to talk about. If your first pitch was rejected, consider rewriting it to be a better match and resending it after you’ve created a connection with the person. There are many bloggers who welcome guest posts as long as it is somewhat related to their niche. You can use guest blogging networks to find a number of sites for guest posts. In these cases, you’ll need to vet the blog yourself and find blogs that are a fit with your main objective. A number of blogger outreach networks allow you to identify bloggers based on their demographics, their location, keywords, categories and clout. You can find bloggers who promote tech toys in a market who want to know more about your product. If you’re truly trying to sell things through guest posting, there are blog networks that include lists of bloggers willing to share quality content advertising a product as a guest post. Or you could find a blogger whose demographics match one you’d like to reach while remaining within your category niche. 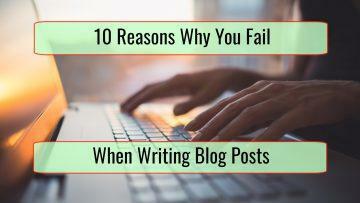 Does the blog have a fair overlap with your intended audience? A blog post that is seen by a mostly new audience is great for attracting new readers, while a blogger whose audience significantly overlaps your own is a great way to build brand loyalty or generate sales. This is especially true if the blogger is considered an expert or they’re going to present you as the expert source. Is the blogger well-versed in social media? Will the guest benefit for your search engine optimization through backlinks shared on social media and brand mentions by that person’s followers? Can the blogger make your content go viral? Conversely, a guest post on a blog hosted on a site that search engines ignore may hurt your standing with search engines. 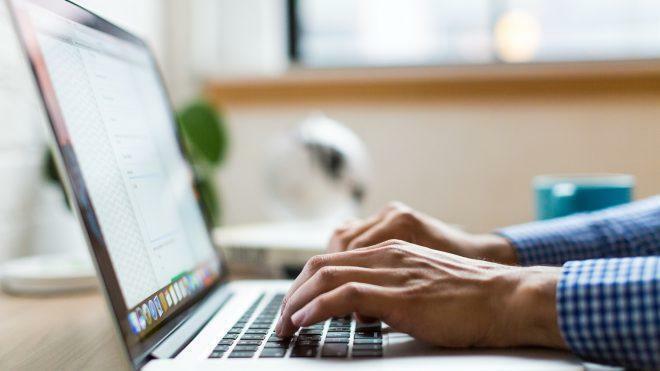 Guest posting on dozens of low and mid-level blogs may generate new readers and social media backlinks, but it may not be worth the effort compared to the value of a guest post on an influencer’s blog. There are several side benefits of going through blogger outreach networks. You don’t waste time determining if the bloggers accept guest posts, and you won’t make the mistake of sending a pitch to someone who won’t accept guest posts. By searching for the bloggers by their target audience, you don’t put articles on pages that won’t be seen by your desired audience, and you won’t reveal ignorance by asking someone what their audience is like. When a blogger allows you to post an article on their site, they expect you to reciprocate by sharing the links far and wide. When they tweet about your upcoming guest post, retweet it. When they post the article, share it on social media. Build healthy engagement on social media by commenting on the article and responding to other commenters. Simply liking other commenters can go a long way, since you’re showing them that you read and approved of the comments. Guest posts should be jointly promoted. If you have an email list, you should send an announcement of the guest post to your email list. Guest posting is an excellent way to improve your name recognition, promote new products, generate good PR, and receive positive signals on social media that benefit your site’s search engine optimization. There is more than one way to land guest posts, but every strategy requires work on your part to find the right opportunities and then make the most of them.